The first time an instructor interfaces with Questionmark, a Questionmark admin ID is created for them automatically. students launching the assessment are automatically added to the group. The first time a student launches any Questionmark assessment, a participant ID is created in Questionmark for the student. And all of this automatic synchronization is optional! 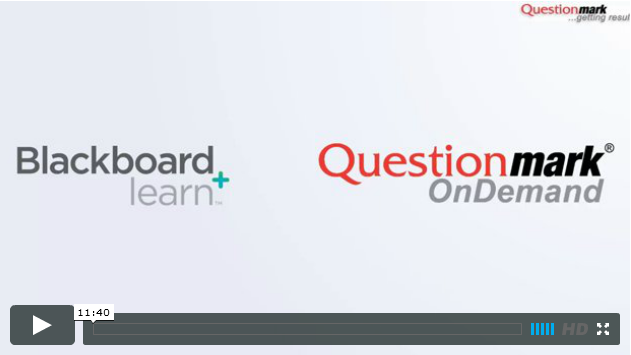 You can just as easily set up the connector to require that instructors, students and/or groups be created by a Questionmark admin in Questionmark so that you can control exactly who, and what courses, can interface with Questionmark.